So, I'm about to show you 4 simple (and pretty common) graphic design elements, but I confess I'm dying to learn how to make them properly! 1. What's the proper way to make this diagonal striped square? I'd power duplicate all the lines and put a square mask to cut them. 2. Similarly, what about this one? I'd make one circle, power duplicate until I have a line, then power duplicate the line. After all this, the mask. 3. 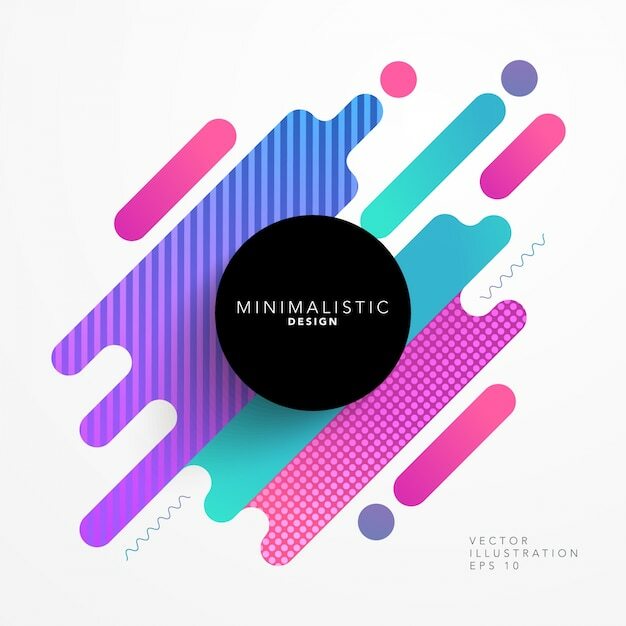 How can I make this abstract shapes? No need to explain the texture, just the shape. I would make a rectangle with rounded corners and add them, but I wouldn't get the right curvatures. 4. In the same image, there are these "curly" lines. How? I admit I'd take the pen tool and make lots of points, trying to replicate the curves perfectly. After all these confessions, would you help a friend in need? For the top one, draw one line, CTRL and drag to make a duplicate at the point of the second line then Ctrl+J to repeat that duplication and location over and over. Then, for a diagonal one, make the lines more and longer than you need, selct them all and rotate by 45 degrees. Draw a box and make it either transparent or whiet and with no border. Select all the lines and drag in the layers palette until they appear inside the box. Make sense? 3. Turn on the grid. Draw the abstract shape with square corners using the pen tool, or boolean add a bunch of rectangles. Then use the corner tool to round all the corners as a single operation. 4.essentially the same as above. 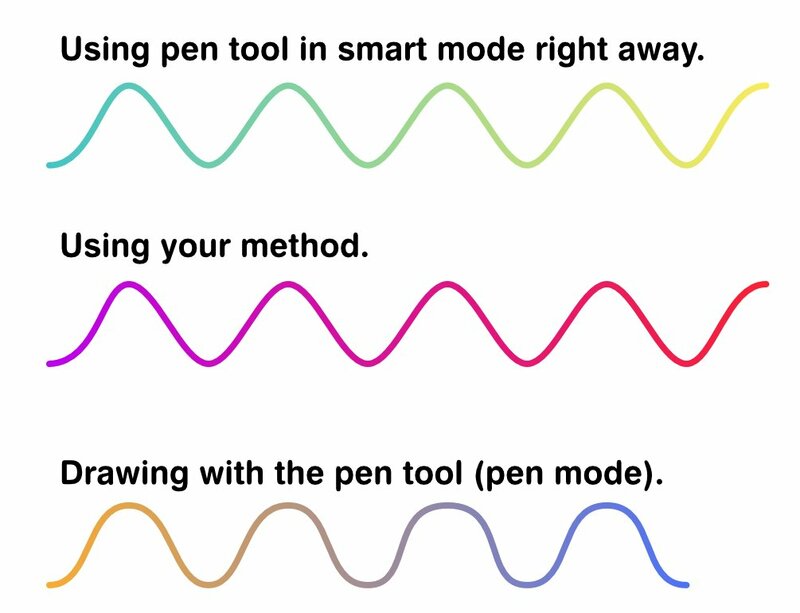 Use pen tool to draw zig zag line, and corner tool to round the points. In both cases do the work aligned to the page, and rotate the shape once it is made. Examine the file for clues. Thanks a lot for helping out, guys. 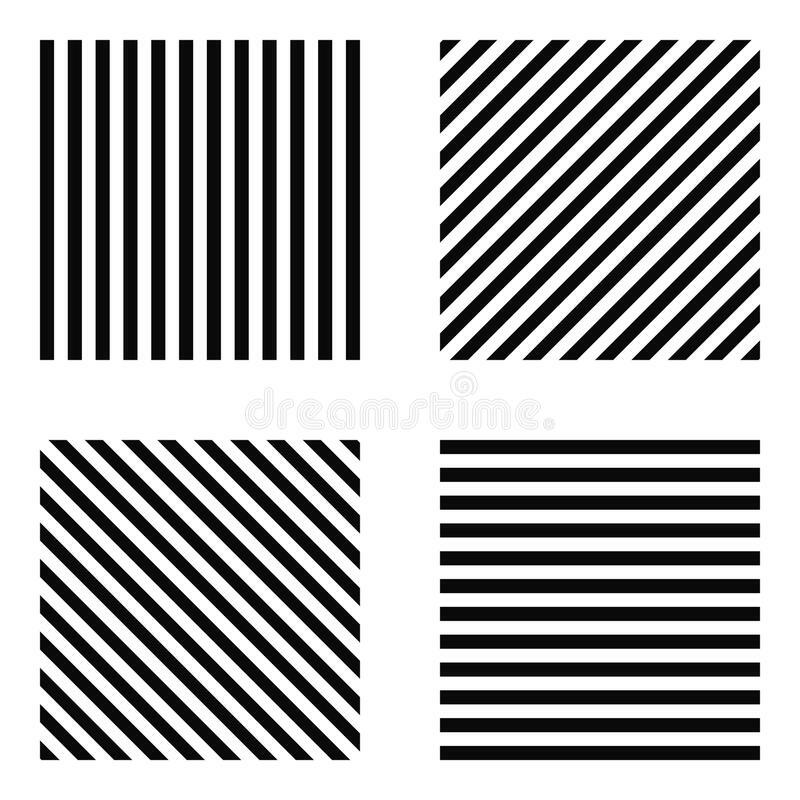 So, my method for making striped line squares seems to be in alignment with yours. If anyone else has a different method, please, share! gdenby made the polka dot shape easier with the dot-stroke, also. The abstract rounded corners shape works as you've shared too. Funny is that I've tried it back then and it didn't work at all. I swear I did the same thing. Well, nevermind. The curved line is somewhat misleading. It can be achieved through zig-zag line + corner tool, but I couldn't make it nicely. I made it with the pen tool (aligning with the grid) and the result was much better and closer to that reference. Still, if anyone has a different method, teach the community. 1. Create a custom grid with at least as many spaces as you want 'bumps' in the curly line. & enable snap to grid. 2. 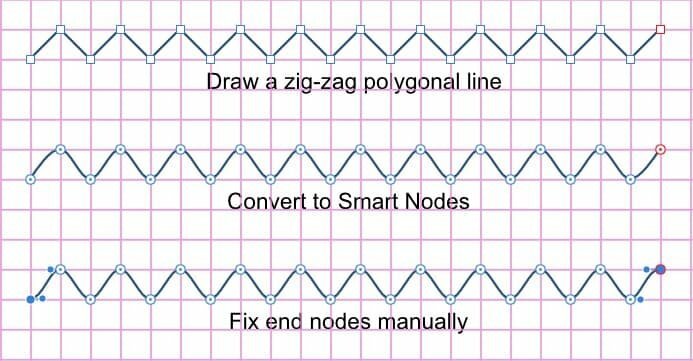 Set the Pen Tool to polygon mode & draw a zig-zag pattern snapped to the grid. 3. Switch to the Node Tool, select all the nodes, & convert them to Smart Nodes. 4. Manually fix the end nodes by selecting them one at a time & dragging their interior control handles horizontally to match the curvature of the Smart nodes. If you don't need the striped and dotted fills to be vectors, then you can create or download a simple repeating pattern (at a large enough resolution) and use it as a bitmap fill on any shape you please. Thanks for your contribution, RC-R. But wouldn't it be easier to just start out with the smart mode? Here it is the comparison. By the way, I feel like I have more control doing the curves by hand with the pen tool, without requiring much extra time. How exactly could I insert the pattern as a bitmap? I would put the pattern inside the shape, like a clipping mask. Yeah thats my methode too. It needs a little bit preparation, but than its the fast way. 2. Export them (there is no way to use the clipboard or a layer for new brush, style-bitmap,...). so export the element(s) as a png with transparent BG. 3. 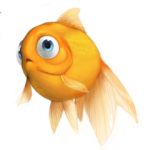 Create a shape and select the gradient tool, choose bitmap and import that png. 4. Make sure the "keep relation" box is selected (the last symbol in the lower "header")* and resize the pattern. Keep shift for snapping to 15% degrees jumps. 6. If you happy, create a style (or a "color") from this. Repeat this step, with different sizes /degrees... (you can later resize buy using the gradient, but its faster to have some variations as "on click-objects"). You can now apply theese styles to any shape.... with jsut a click. *Unfortunately the AP_GUI is quiet hard to read with one-view, but you see that this is "checked" if you really focus. The whole AP_GUI needs a refresh for better readability! In PS the GUI is much more clear and nicer and faster to read (and sometimes to use, too). Thanks, Poly. I'll test your method.